Create a secure and compliant ecosystem for patients and employees. 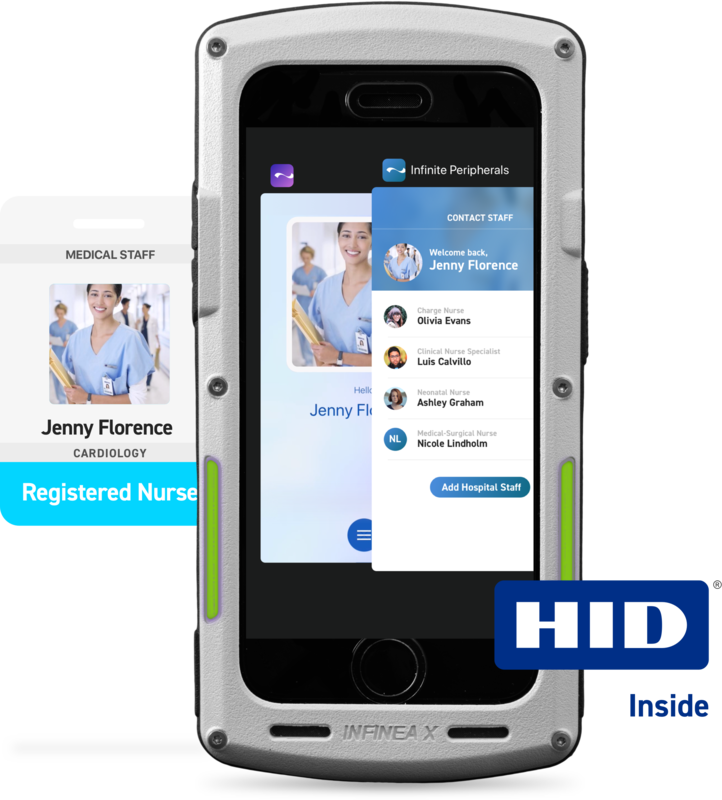 The Infinea X DF is an all-in-one HID-enabled mobile healthcare device for iPhone 6S, 7, and 8. 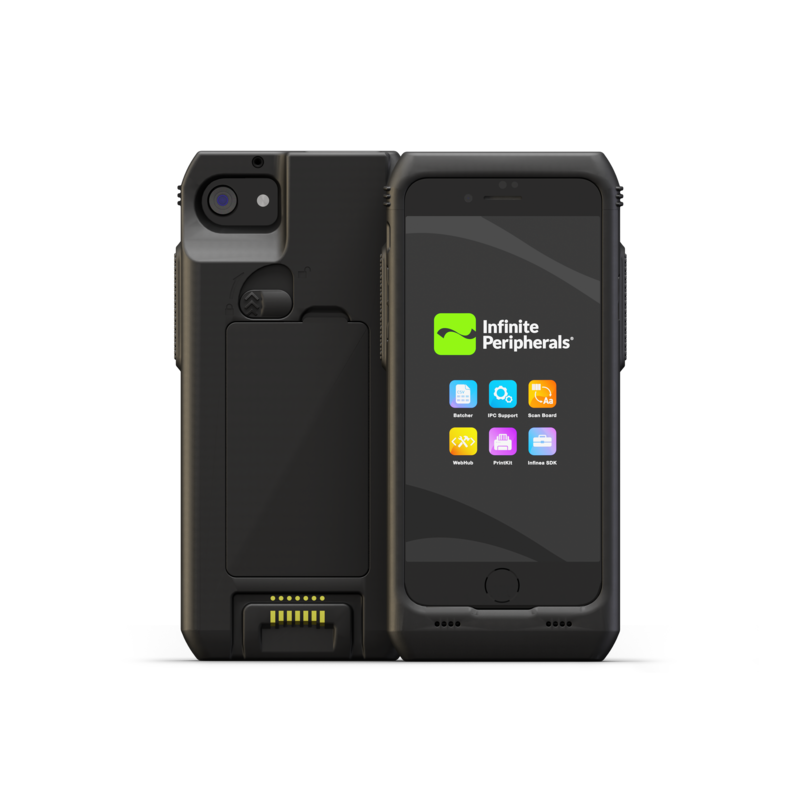 Now, caregivers can do more from a single, protected device with HID security capabilities, a high-speed and accurate barcode scanner, and ruggedized, durable plastic. Increase efficiency and boost productivity. Learn more about the Infinea X DF; the first-of-its-kind mobile HID reader for iOS. allows multiple users to perform daily work without compromising security. and manage accounts across multiple systems. with hot-swappable battery and high-speed barcode scanner. Introducing Imperea, an enterprise-class camera scanning solution for high-speed, accurate, and reliable data capture. Strengthen every level of your hospital ecosystem with Imperea. This compact yet durable device was designed to meet the unique challenges of the hospital environment. powers the device around the clock. allow you to customize the device to fit your workflow. Enhance every step of the hospital supply chain with the Linea Pro 7i. 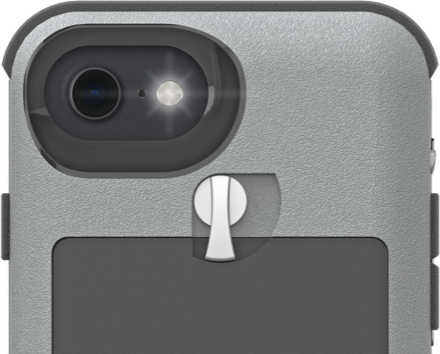 This device promotes greater visibility in asset management and efficient supply chain practices. with a high-speed 1D/2D barcode scanner. is suitable for any environment. ©2019 Infinite Peripherals. All Rights Reserved.